Provide comfort for the family of Carolyn Dell with a meaningful gesture of sympathy. 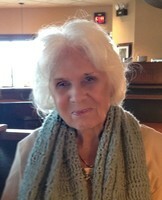 Carolyn J. Walker Dell, 90, widow of Paul A. Walker, Owensboro, KY and Omer Clarence “O.C.” Dell, Waycross, GA passed away in her home with family by her side on Tuesday, March 19, 2019. Born in Millwood, GA, she was the daughter of the late Ira and Clara Van Landingham Cavender and preceded in death by her brothers, Woodfin, Roy, John, and Clifton. She was a teacher in Georgia and Kentucky, where she later retired as a real estate broker and auctioneer. Carolyn enjoyed playing cards and travelling, especially to the beach, and close relationships with her family and friends. Faith and church fellowship with the Baptist, Methodist, and Nazarene denominations were central to her life and to her volunteer work with the Red Cross and VISTA adult literacy. In 2014 she moved to Georgetown, KY to live with her son and daughter-in-law. She is survived by her daughter, Debra (Phil Bader) Walker, Hopkinsville; granddaughter, Sarah Higgins, Atlanta; son, Phillip (Lisa Lykins) Walker, Georgetown; step son, Paul Walker and his family; step daughters, Jeanine Dell, Valdosta, Nancy (Randy) Hewitt, Waycross, and their extended family. Her generosity and joyful disposition will always be remembered by those who loved her. And she will be deeply missed by her dogs, Miss Maudie and Ira Christie. A private memorial will be observed in the family home in Georgetown, KY.
To plant a memorial tree in honor of Carolyn Walker Dell, please visit our Heartfelt Sympathies Store. Always loved the times I spent with Aunt Carolyn. She was always so sweet to me. Our sincerest sympathy. John and Becky Walker, Lewisport, Ky. Please accept my sincere condolences during this time of grief. My hope is that the words of Christ Jesus be of comfort, when he stated that "the hour is coming in which all those in the memorial tombs will hear his voice and come out" (John 5: 28, 29). We can also take comfort in God's personal promise to "wipe out every tear" and that soon, even "death will be no more" (Revelation 21: 4).